Quick programming alert: two Beemsville TV picks return for each of their second seasons this week. On AMC, Hell on Wheels kicks off at 8:00 CST. You can watch trailers and plot-line lead-in from last season if you want to get on board or missed some episodes. AMC is also doing a Season 1 Marathon all day today (Sunday) as is their custom. We like this show because it’s a well-made Western with strong performances and interesting characters. 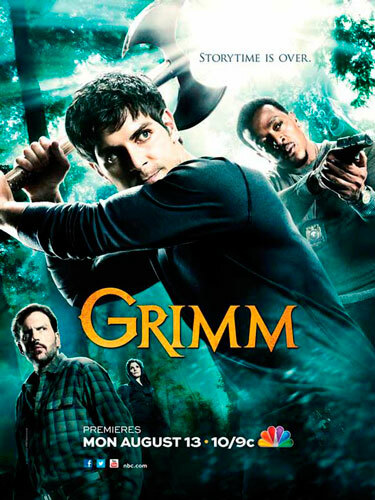 Tomorrow night at 9:00 CST, Grimm starts up again on NBC. Move on from your Olympic hangover with supernatural style. NBC’s site also has plenty of media and content to initiate or reintroduce you to Detective Nick, Monroe, and the Grimm-iverse. This show has old-school X-Files appeal, a well-conceived urban fantasy setting (easier said than done – just look at all the crap fantasy spin-off attempts), and interesting characters. You gotta have interesting characters. Check them out. You could probably support both arguments, though you’ll never get me to agree with the camp than never liked HP to begin with. That argument, I just don’t understand… Anyway, it is a pleasure to watch those young actors who brought HP to the big screen years ago. And yes, the tone of the final two-part film installment, like the book, is decidedly bleak and dark and threatening. Tomorrow night, AMC’s television version of The Walking Dead, based on the graphic novel series by Robert Kirkman, receives a Halloween debut. For fans of horror, zombies, and comic books, this is a much-anticipated and promising development. AMC has an excellent resume for developing intelligent TV drama, including Mad Men, Breaking Bad, and Rubicon (the latter is currently a Beemsville favorite show). High expectations are certainly in order. Seems like I’ve been reading Shogun by James Clavell for ages, but hey- the book is like 900 pages. Enjoying it quite a lot – review should be soon forthcoming. 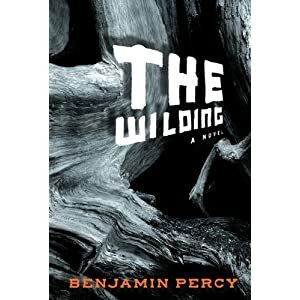 After that we’ll move on to longtime ally Benjamin Percy’s The Wilding, which has garnered excellent reviews. By most accounts, this book should both horrify and provoke the intellect, and if I know Ben (and I do), it will have some ambitious, hard-charging language as well. Next it’s on to John Le Carre’s latest, Our Kind of Traitor. Have’t read a Le Carre book in some time (after devouring seven or eight quickly about ten years ago) but based on the buzz and the synopsis I’m looking forward to this one. That will get me into winter, and by then I’ll probably be in the mood for something sci-fi/fantasy. However, with The Walking Dead set to premier on AMC week after next, I may want to revisit Kirkman’s graphic novel series. Last checked in around trade paperback #7, and to be honest, was starting to get tired of the lack of narrative momentum and higher-level plot ideas. A short story collection could also be in order, and Dark Futures: Tales of Dystopian Science Fiction (edited by Jason Sizemore) looks promising. Have also been meaning to look at the latest Year’s Best Science Fiction, shepherded as ever by Gardner Dozois. Drop me a line with other suggestions, if you dare. It’s always nice to have options. It looks like the kind of wacky horror Lovecraft would have despised. Seriously. At the same time, a contemporary revival of the Cthulhu Mythos on the big screen (or straight-to-video screen) has to start somewhere. And The Last Lovecraft: Relic of Cthulhu at least has some tongue-in-cheek to go with the nameless horrors. There have been quite a few bad Lovecraft movie adaptations – maybe because his stories depend on the reader’s imagination to a great degree, which is something most movies cannot do. So maybe the humor-meld is the way to go. We’ll be looking for this one.